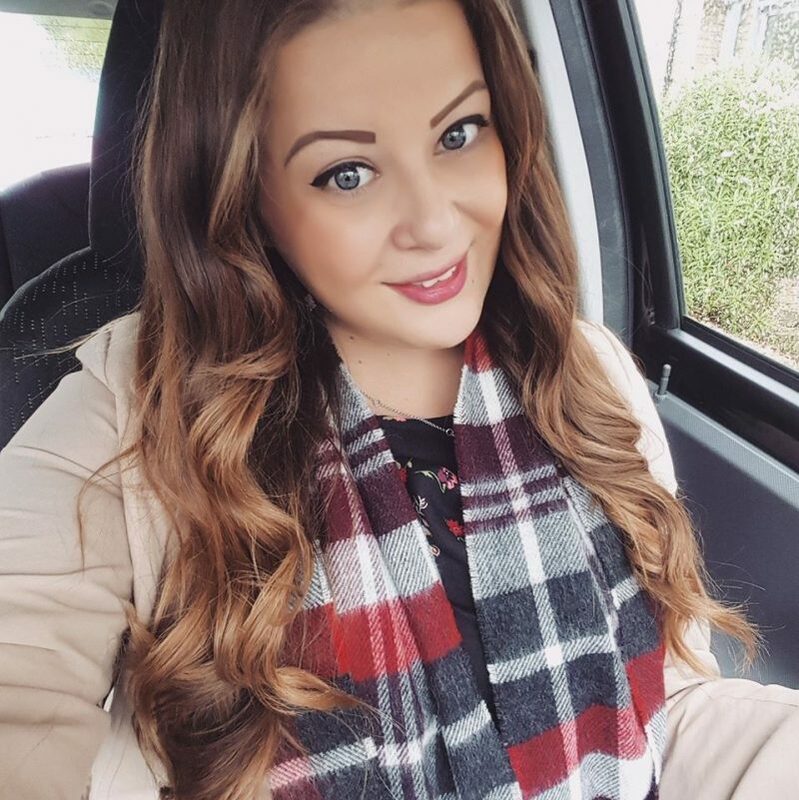 So last weekend I attended the Birmingham Blogger Meet up which was organised by three fellow bloggers (a post on this will be coming soon!). The weather was really beautiful outside, it was so sunny and warm so I decided to wear this lovely new summer dress that I was sent from SheLikes. 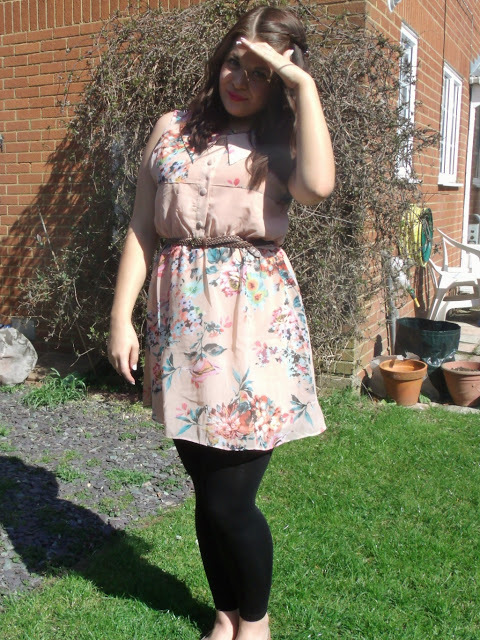 Infact it was so sunny, I found it really difficult to take photos because it was too bright outside and my camera didn’t like it at all! So here’s some slightly out of focus shots of my outfit of the day. The dress actually was delivered in the morning of the event so I hadn’t planned to wear it, but I fell in love with it as soon as I saw it so had to wear it! 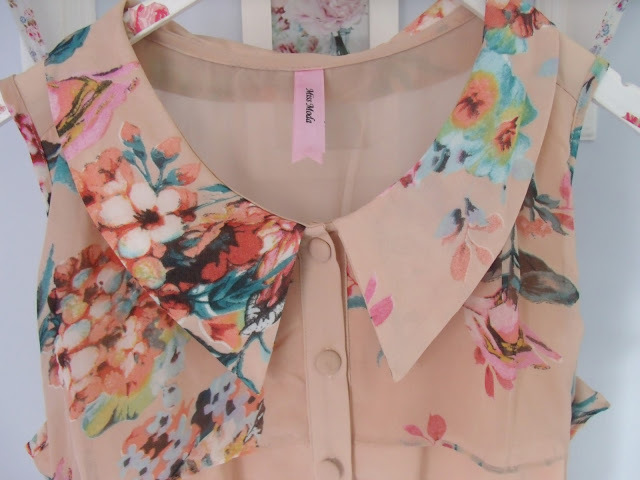 It features some of my favourite things in a dress: Peter Pan style collar, floral print, sheer fabric, and pretty pastel colours. 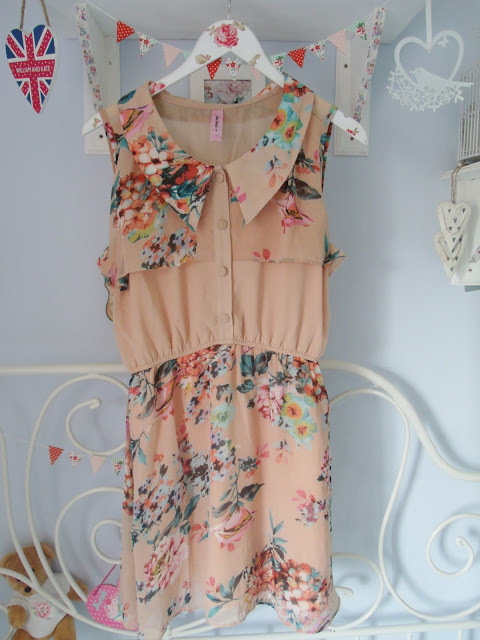 The dress itself is a peachy colour with a gorgeous big floral print on it in turquoise and coral colours. It has a button up front and a nice light floaty skirt. 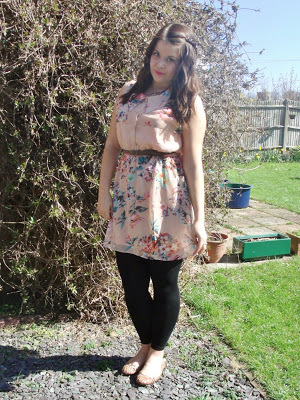 The dress is only £22 from SheLikes, and I loved wearing it and got a few nice compliments on it throughout the day! I painted my nails with a kitty and polka dot pattern too! And I decided to inject a bit of summer in my hair by having loose waves and a little braid pinned to the side of my hair. 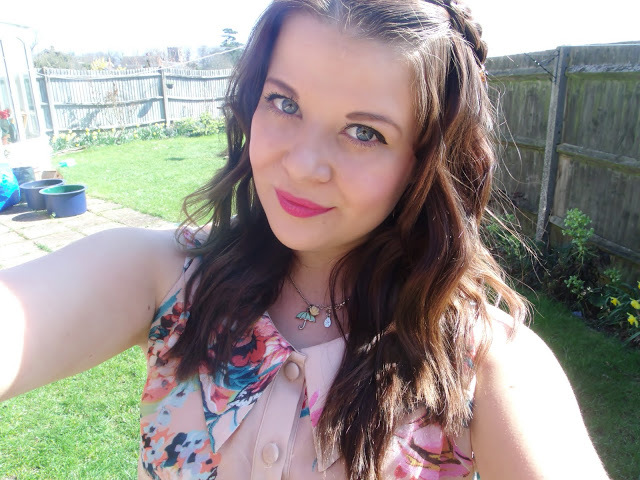 I wore my nice bright pink Rimmel Apocalips lipstick/gloss in Apocaliptic and Daniel Sandler watercolour blush. Next Post Handbag Giveaway Reminder! This dress is beautiful! I love it. Your blog is just to die for.